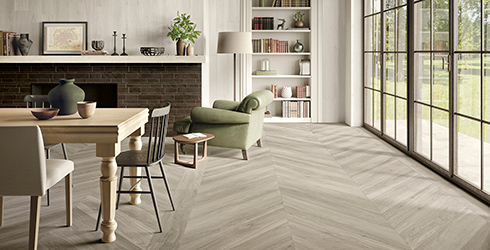 Whisper is an American-made color body porcelain tile with a wood plank look and shape. This soft wood plank replication features a muted color tone enhanced with subtle wood grain movement. 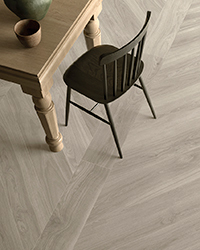 Whisper comes in five colors - White, Beige, Grey, Taupe and Brown, and is offered on a unique rectangular tile format of 8" x 40". This tile collection is suited for all residential and commercial settings.